Genuine Wampum Or Quahog Northern Coastal Waters. 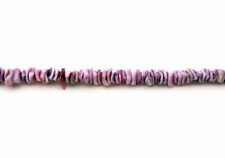 You are Buying One Strand 4 x 8.5 MM Tube Wampum Shell. Our Periwinkle Lily Shell Beads, or what is famously know as "Mactan Lily", are the finest that an artist could ever ask for. These beads are natural and the sea shell used to make them are hand picked from the beautiful beaches of the Philippines. IT IS A CLOSE RELATIVE TO SPINY OYSTER SHELL AND JUST AS OR MORE SO BEAUTIFUL. THIS LOOSE BEAD STRAND CONSISTS OF ORANGE/RED W/PURPLE MATRIX SPINY OYSTER/LION'S PAW DISK/RONDELLE BEADS. THIS GORGEOUS BEAD STRAND IS UNFINISHED AWAITING YOUR DISTINCTIVE CREATIVE TOUCH! Purple white around 165 Beads per strand. Purple white around 147 Beads per strand. Stone: resin, synthetic coral. Shape :rose flower. Drilling :no hole drilled. Purple & White Spiny Oyster Small Nugget Beads 16" temporary strand. Approx 2-4mmx6 -8mm. Untreated natural color, genuine shell. Spiny Oyster is getting harder to find resulting in prices increasing. This clam, which lives in the coastal waters of the northeastern United States, has a distinctive shell that yields the purple beads. You can give them as completed jewelry pieces or give them as a group. MP2327 Purple Flat Diamond Marquise 18mm Mother of Pearl Shell Beads 15"
MP286 Purple 15mm Flat Square Diamond Rhombus Mother of Pearl Shell Beads 16"
MP2397 Purple w Gold Drawbench Drizzle 20mm Round Mother of Pearl Shell Bead 15"
MP679 Purple 14mm Flat Round Mother of Pearl Gemstone Shell Beads 15"
Our Graduated Violet Oyster Shell Heishi Beads has the finest quality that an artist could ever ask for. This product is made from a Violet oyster sea shell straight from the beaches of the Philippines. MP1612 Purple Grape Mother of Pearl 30mm Flat Round Gemstone Shell Beads 16"
MP1598 Purple Fuchsia Mother of Pearl 30mm Flat Round Gemstone Shell Beads 16"
MP613 Fuchsia Purple 18mm Oval Mother of Pearl Shell Gemstone Bead 15"
MP769 Purple Gold Drizzle Drawbench 20mm Round Mother of Pearl Shell Bead 16"
Color: Purple with Gold Drawbench Drizzle Overlay. Chief sources of mother of pearl are the pearl oyster, freshwater pearl mussels, and abalone. It is very strong, resilient, and iridescent. Nacre appears iridescent with different colors of light being reflected at different viewing angles. 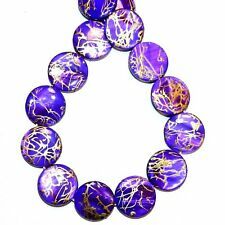 MP1136 Purple 16mm - 20mm Diamond Nugget Mother of Pearl Gemstone Shell Bead 15"
MP634 Purple AB 12mm Flat Round Coin Mother of Pearl Shell Gemstone Bead 15"
CRL237 Purple Small 6mm -12mm Bamboo Coral Cupolini Branch Beads 16"
MP618 Purple 12mm Flat Puffed Round Mother of Pearl Shell Gemstone Beads 15"
MP324 Purple 12mm Flat Round Top-Drilled Coin Mother of Pearl Shell Beads 16"
CRL243 Purple Bamboo Coral Cupolini Small 4mm - 8mm Freeform Branch Beads 15"
Shape: Freeform Cupolini Branch. Bamboo coral is a type of sea coral and can found in the waters off the coast of. Gemstone: Bamboo Coral. The skeleton can be polished & dyed or bleached for a natural look. Beautiful Round Chinese Mussel Shells. Material: Chinese Mussel Shell. Range : 20mm. Use: Economical & lightweight, they easily dangle from earrings & necklaces for fabulous jewelry pieces. Shape: Round Coin. 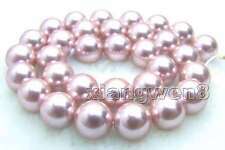 NP354 Light Purple 4mm - 5mm Rice Cultured Freshwater Pearl Craft Beads 14"
They make up the majority of pearls that are currently sold. Pearls are almost always nacreous and iridescent. 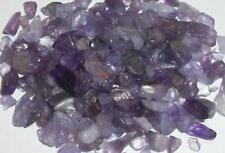 Gemstone: Cultured Freshwater. Freshwater Pearls. Shape: Flat-Sided Rice. Approximate Size: 4mm - 5mm. Beautiful Round Chinese Mussel Shells. Material: Chinese Mussel Shell. Color: Fuchsia. Range : 20mm. Use: Economical & lightweight, they easily dangle from earrings & necklaces for fabulous jewelry pieces. MP240 Violet Purple AB 7mm Square Cube Mother Of Pearl Shell Gemstone Beads 15"
Beautiful Round Chinese Mussel Shells. Material: Chinese Mussel Shell. Range : 40mm. Use: Economical & Lightweight, they easily dangle from earrings & necklaces for fabulous jewelry pieces. Shape: Round Coin. MP410 Purple 26mm Cut-Out Pattern Square Diamond Mother of Pearl Shell Beads 15"
12mm Purple Round Sea Shell Pearl Loose Beads for Jewelry Making DIY Strands 15"
Vintage Necklace Strand Purple Round White Coral Dyed Bead Shell? COLORFUL GRADUATED FLAT SLATE PENCIL SEA URCHIN SPINE QUILL BEADS 21-28MM 16"